Front Row Filmed Entertainment Has Unveiled A Revamped Poster Design for The Upcoming Re-Release of ‘The Message’!! Check It Out!! | Welcome to Moviz Ark! Front Row Filmed Entertainment Has Unveiled A Revamped Poster Design for The Upcoming Re-Release of ‘The Message’!! Check It Out!! With the classic 1976 film from legendary filmmaker Moustapha Akkad, gearing up to release on Eid al-Fitr, Front Row Filmed Entertainment has released brand new, revamped poster design for the film. 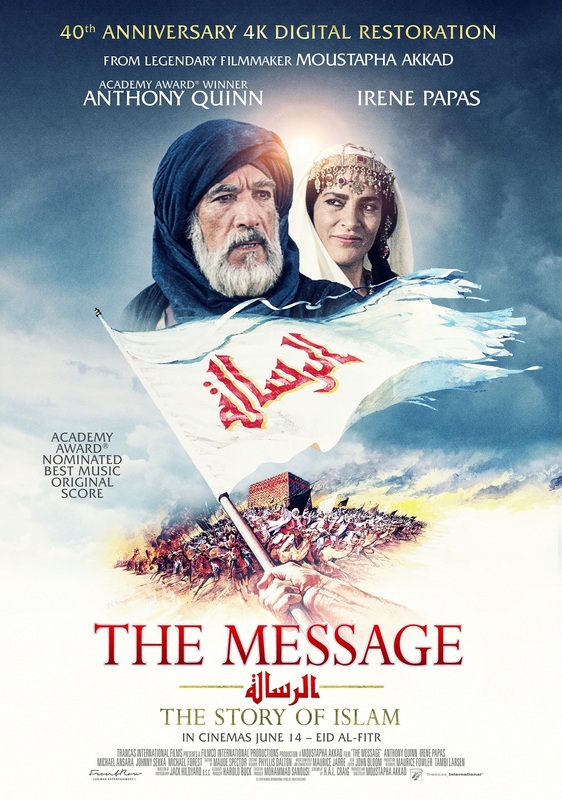 Releasing in both Arabic and English in U.A.E cinemas in 4k digital restoration format and in 5.1 surround, The Message is an epic historical drama that chronicles the life and times of Prophet Muhammad and serves as an introduction to early Islamic history. ← Netflix Buys Cannes Winners ‘Happy as Lazzaro,’ ‘Girl’ for North America, Latin America!!! !